With all the recent conversation surrounding the use of organic foods, it’s hard to decipher whether two fruits displayed side by side on the produce shelf can truly be that different based solely on the fact that one was grown conventionally and one organically. So what’s the difference, and why is it creating such a stir? Organic farming is very simply the agricultural processes designed to reduce pollution while conserving water and soil resources. While conventional farmers routinely spray their plants with herbicides, insecticides and chemical fertilizers, organic farmers gravitate toward sophisticated crop rotations and natural fertilizers to maintain healthy soil and reduce weeds. For the environmentally conscious, organic farmland tends to stay rich in nutrients and moisture due to careful land management. The result: a huge plus for our environment. While these benefits are significant, what does this really mean for the supermarket shopper? One of the biggest benefits of organic food is the enjoyment of chemical-free fruits and vegetables. Conventional farming has been largely criticized for utilizing chemicals that do not easily wash off, causing consumers to ingest small levels of these harmful substances. Many find organic foods to have a more intense flavor; this could, however, be attributed to the fact that these foods are offered in their optimal growing season. Organic foods are generally considered more nutritious, the theory being nutrient-dense soils produce nutrient rich foods. Organic foods are highly regarded as the purest of all foodstuffs – void of harmful additives like food coloring, preservatives or artificial sweeteners. By eating organic, the foods you are eating are closest to the way nature intended them. Other benefits of organic food include better treatment of livestock animals. Animals raised solely for consumption are treated much more humanely in organic environments where their relatively stress-free lives are void of the overcrowded and inhumane conditions often associated with more conventional farms. Plus, these animals are not subjected to growth accelerating hormones, feeding instead on what nature provided–grass. Steering away from conventional mass production comes at a price, which is one of the biggest drawbacks for consumers considering switching to organic. However, with just a few items, you can begin experiencing the benefits of organic food. 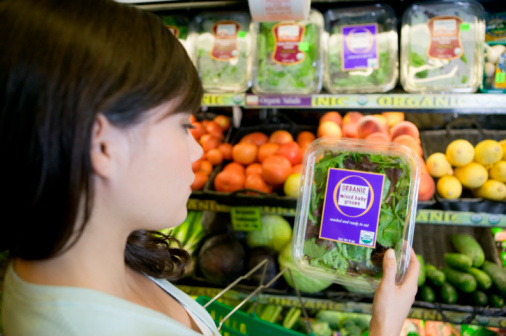 Comparison shopping helps, as does shopping organic at your local farmers market or co-op. Every step, even small ones, leads to benefits for you and your family while preserving our precious planet for years to come.